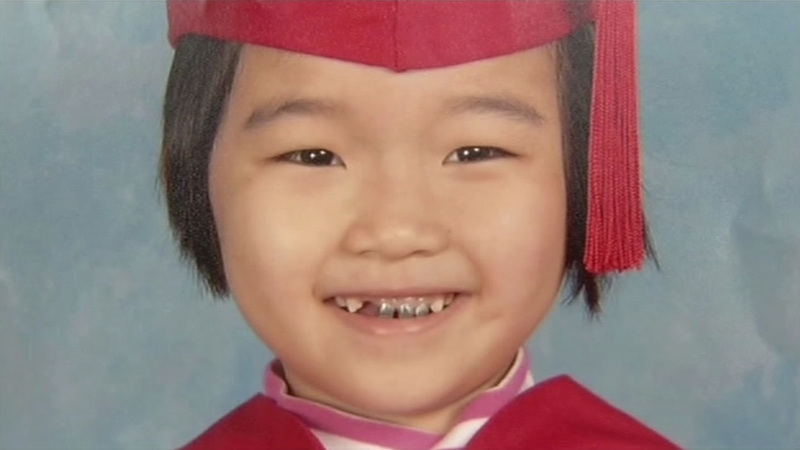 SAN FRANCISCO -- The family of a 6-year-old girl who was struck and killed by an Uber driver in 2013 settled a lawsuit against the ride-for-hire company Monday, according to court documents. The terms of the settlement were not disclosed in the filings in San Francisco Superior Court, citing the privacy of Sofia Liu's brother. "The Lius suffered a terrible tragedy -- and our hearts go out to them," Uber officials wrote in a statement. "While we cannot ease their pain, we do hope that this settlement helps the family move forward." The suit named Uber and the driver, identified as Syed Muzzafar, as defendants. The family alleged that Muzzafar was using the Uber app and had been looking for rides when he hit Sofia as she crossed the street with her mother and brother in a crosswalk at the corner of Polk and Ellis streets at about 8 p.m. on Dec. 31, 2013. Uber deactivated Muzzafar's account after the accident and said he was not carrying a passenger and was therefore not working for the company at the time. But amid widespread criticism over its response to Sofia's death and questions about its insurance policies, a few months later the company announced it would cover drivers who had the app activated but had not yet accepted a ride. Despite changing the company's official policy, Uber continued to argue in court it was not liable for Sofia's death. The family's attorney, Chris Dolan, argued that even the company's new $100,000 injury policy for drivers who had not accepted a ride was insufficient as Sofia's mother was also injured that night and racked up $500,000 in medical bills. Muzzafar was eventually charged with misdemeanor vehicular manslaughter and is scheduled to return to court for a status update in August.